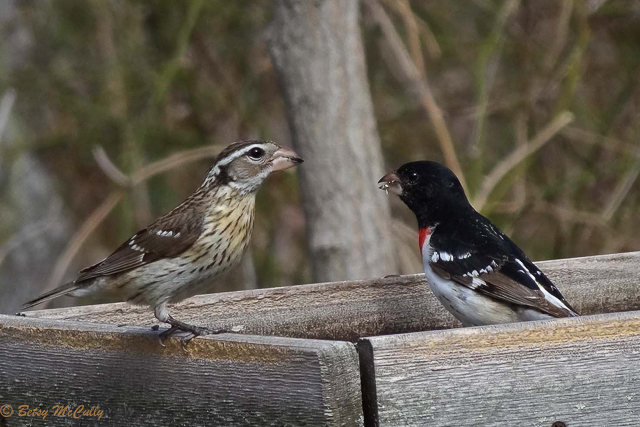 Rose-breasted grosbeak (Pheucticus ludovicianus). Male and female. Forests. Migrant, Occasional breeder.